June Solstice 2018. Northern Hemisphere. 6:07 AM Thursday, June 21. 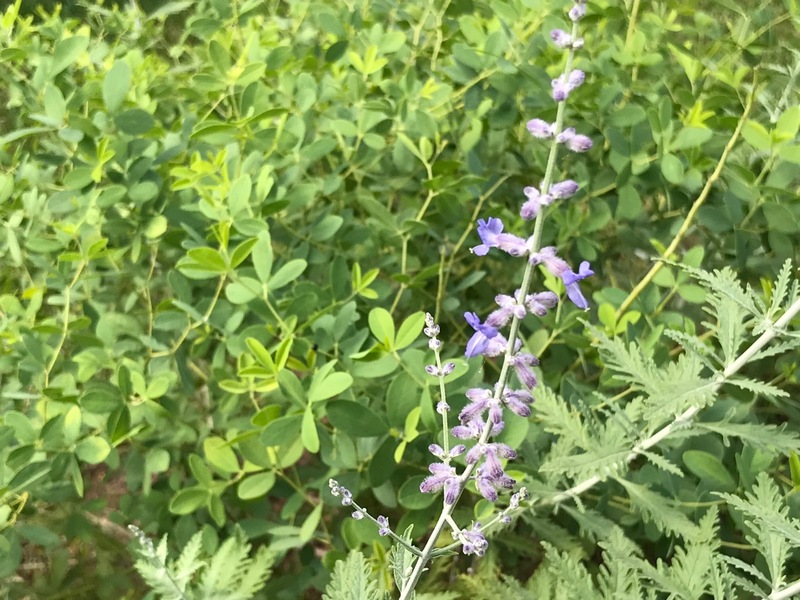 This entry was posted in garden and tagged summer garden, summer solstice on June 21, 2018 by pbmgarden. 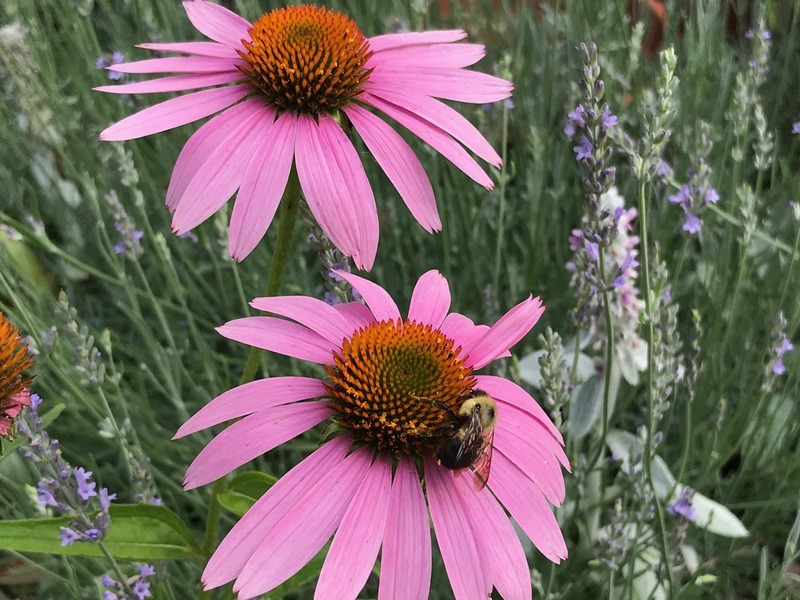 We’re sharing lots of blooms this week. 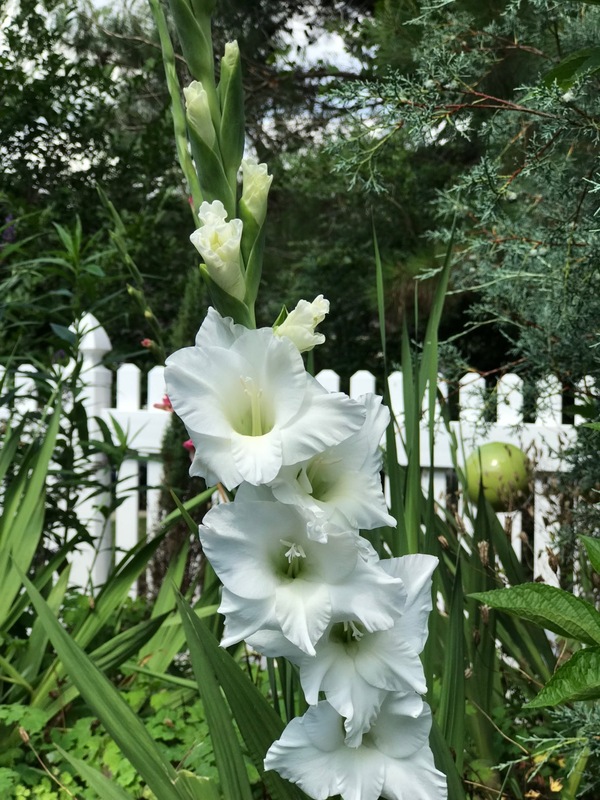 The white Gladiolus is perfect; mine are coming back much smaller; I think I will remove them and start again next year in some better soil. Fun to know we’re growing some of the same plants. These are from past seasons. They have been better and stronger than in recent years. I wish I’d planted new gladioli this year–may still get around to it. Beautiful color. 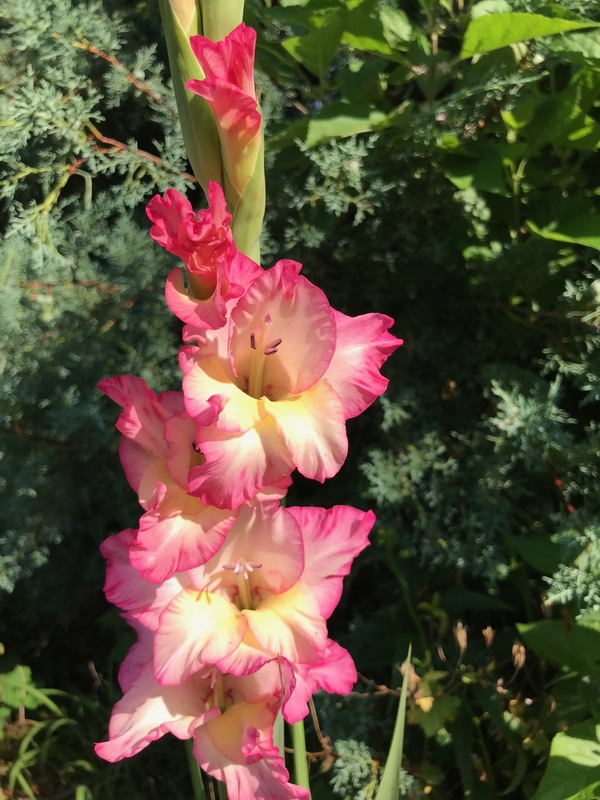 I’ve never grown gladiolus, but they do grow here in Austin. Both of yours are lovely. Thanks. 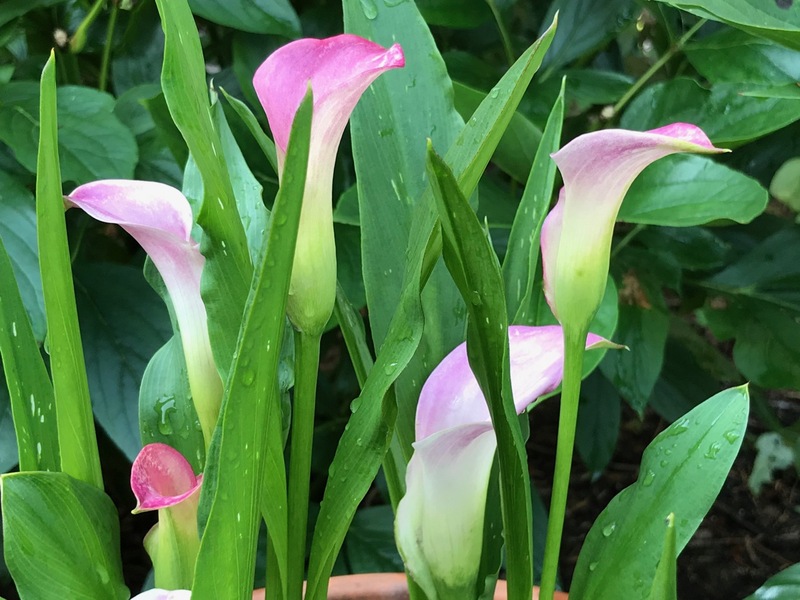 My grandmother loved her glads and always had a tall vase filled with every color. Happy summer! Your flowers are beautiful. Thanks, happy summer to you too. Spring may have been late to arrive but summer’s moved right in! Your garden looks colorful, Susie. I love those Glads. Thanks Judy. 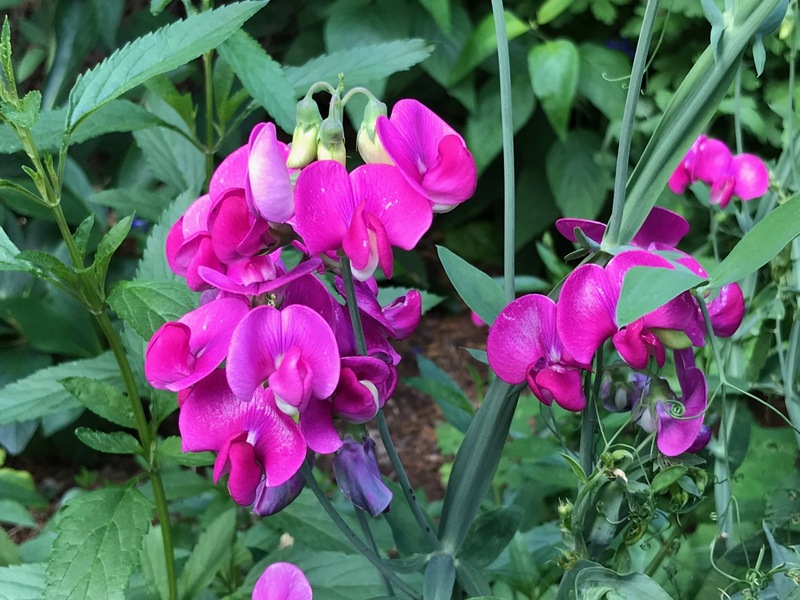 That sweet pea is a passalong from a dear relative so I love seeing it each year. Some beautiful combinations and star bloomers. I’m impressed that you have Glads blooming already! 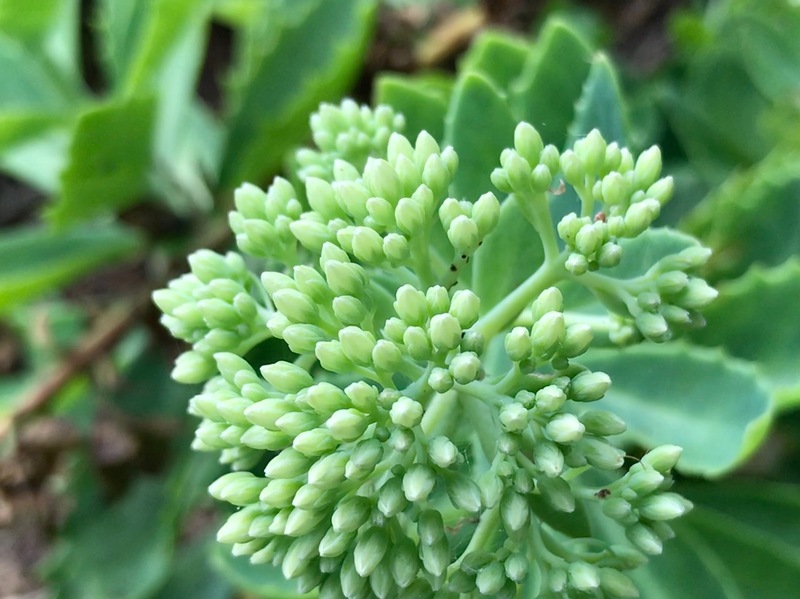 Wow, when I used to grow them in the past, I think I had to wait until August or at least July for the flowers. But interestingly, I’m nearly on your same schedule with the Drumstick Alliums. I know temperature, day length, rainfall, etc., play a part. 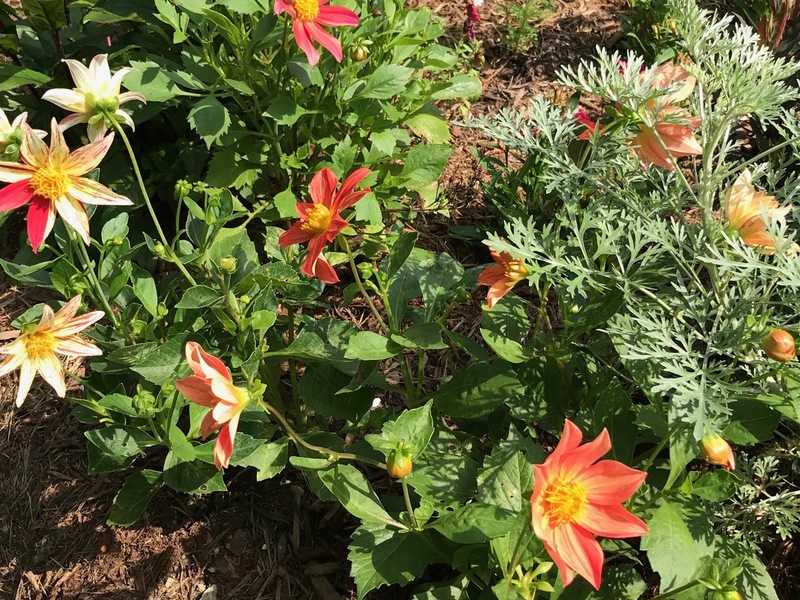 Your Dahlias are gorgeous, by the way! 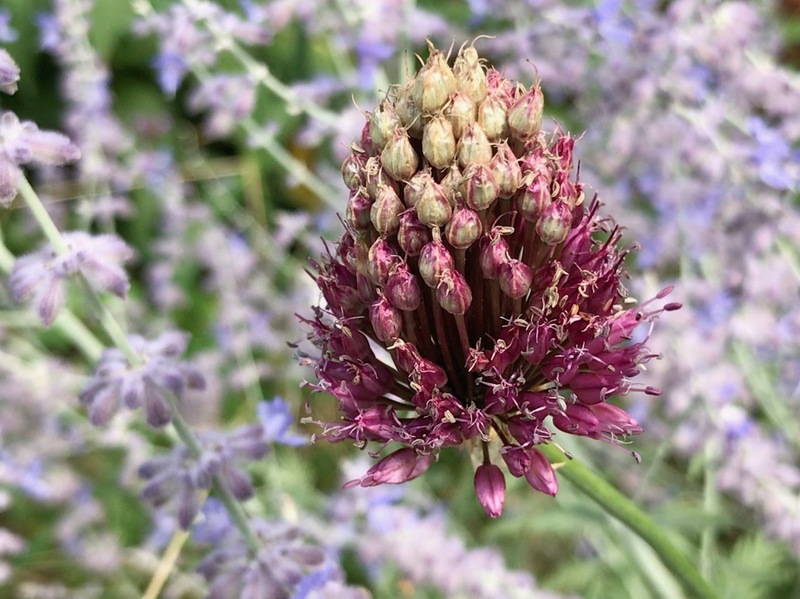 Thank you Beth for identifying the Drumstick Allium. I thought it could be but it’s nice to have confirmation. The glads were in the ground from past years. Still might plant some bulbs if I can find them. 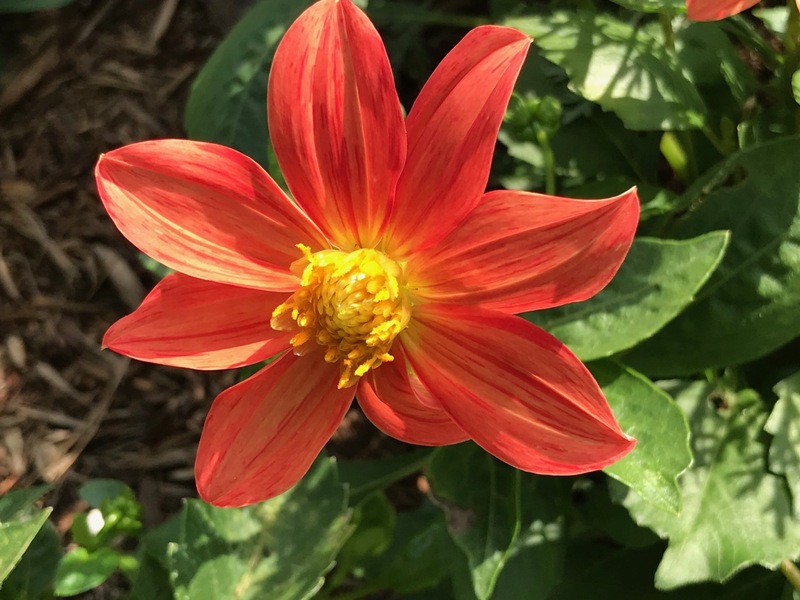 I like the color of that Dahlia! Are Gladioli hardy where you are? These glads have been in the ground for 2-5 years. They don’t last forever like daffodils but I didn’t plant any new gladiola bulbs this year. I’m amazed you can grow Sweet Peas! Isn’t it just too hot for them? I haven’t even tried, thinking it was a losing battle! I did plant some red Gladiolus and they have emerged: never had them before so we shall see. But all my Asiatic lilies are blooming and gorgeous; I will post on IG when I can. Enjoy this summer Susie! I can’t grow the sweet-smelling sweet peas Libby. This is a passalong vine, everlasting. Will be happy to get you a piece of it. Oh! White gladiolus! That is one flower that happens to excel in white. Well, I suppose it excels in all of its colors. The last time I grew gladiolus, they were only yellow and orange, without white, just because yellow and orange looked best in that landscape. If I do it again, I will grow another separate patch of white gladiolus for myself! 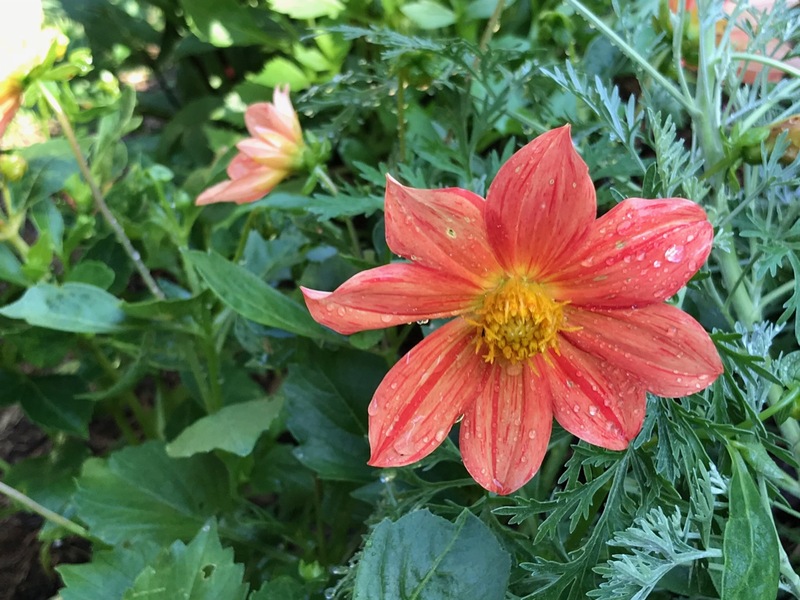 Most flowers everywhere else tend to be later than ours; but dahlias seem to be earlier everywhere else. Ours are only beginning to bloom. They are at their best in late summer, and continue into autumn. I can not imagine why they are later here than elsewhere. They do quite well. 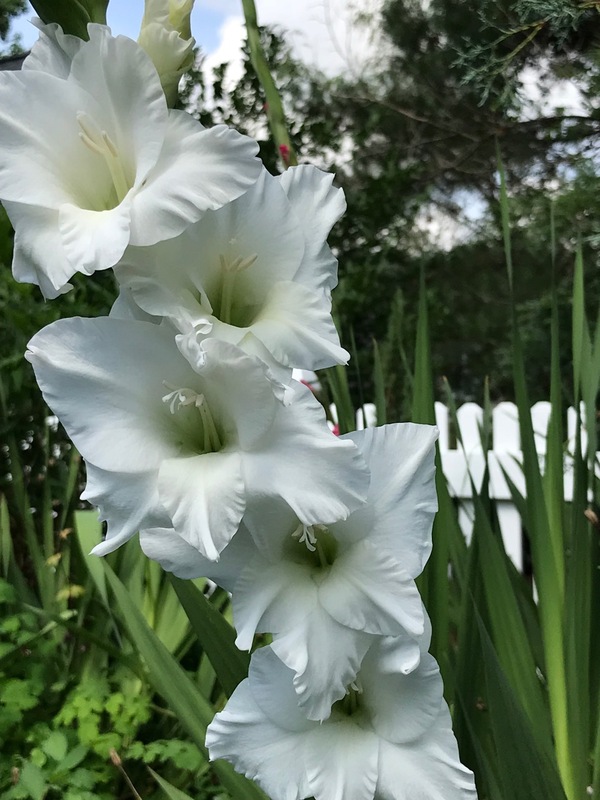 Yes, I agree the white gladioli are wonderful. I used to have a really deep grape purple one that was spectacular but haven’t been able to find it again.